ItemA-03980 - Bella Coola; Dr. Powell at centre, Hamilton Moffatt third from right, with officers of HMS Boxer. ItemC-00479 - Group at Fort McLeod. 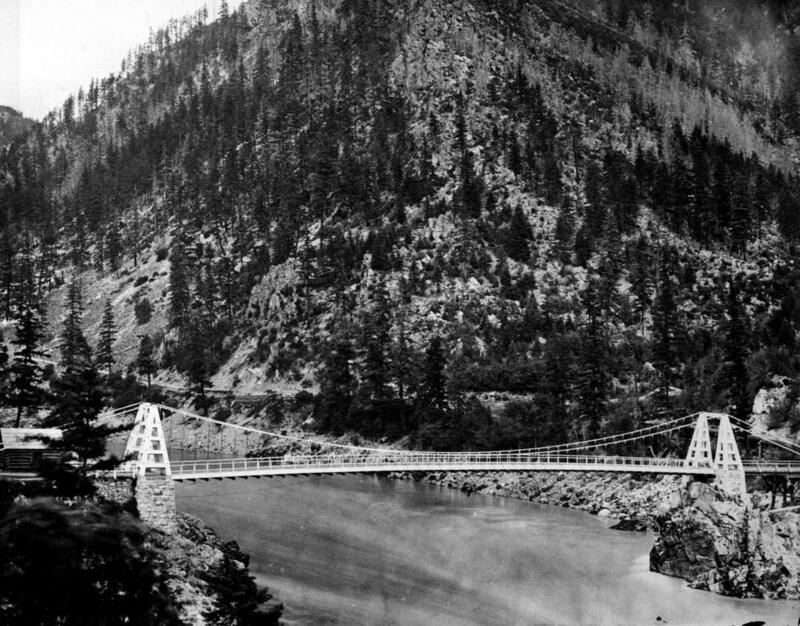 ItemD-08064 - Men working on the Cariboo Waggon Road, Fraser River Canyon. Restriction: image HP10292 is a glass plate negative. Researchers should consult the online reference image or reference room copy prior to consulting the original. Maynard collection Box 14 No. 1.